This NuTone KD-300 Door Knocker “Classic” features late Art Deco Styling. This knocker adds a visual centerpiece to the door. A caller operated this knocker by lifting the hinged “U” shaped lever and striking it against the body of the unit to produce a crisp sound for the sound to alert the occupants of the house. It is likely the DK-300 was only available for a short time as I could not find this mechanical knocker in any NuTone Catalogs. 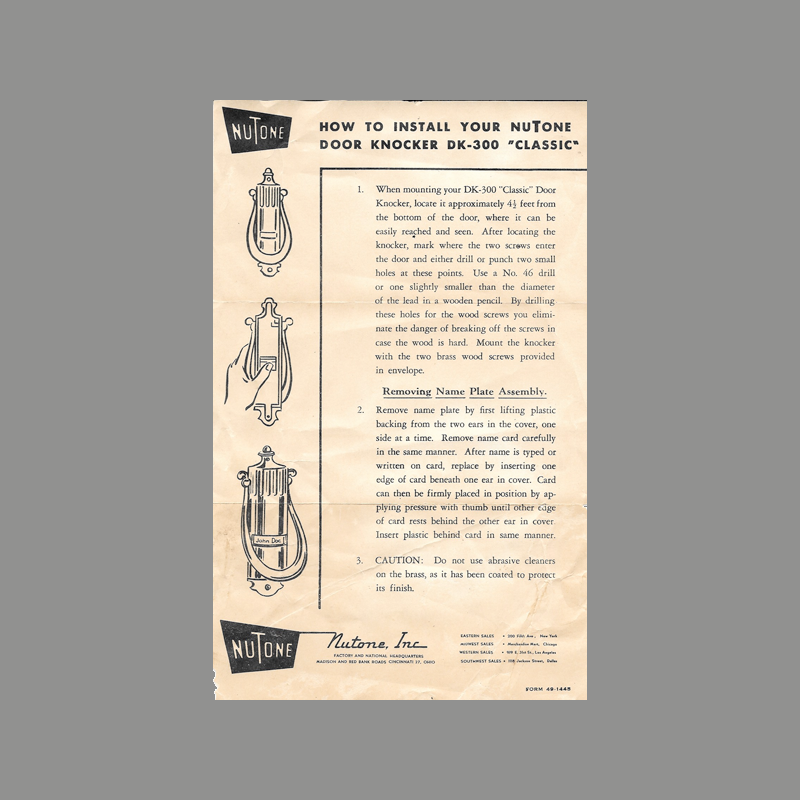 I suspect NuTone management considered door knockers a common hardware item that would cannibalize sales of the more sophisticated door chimes that were NuTone’s main line of business. 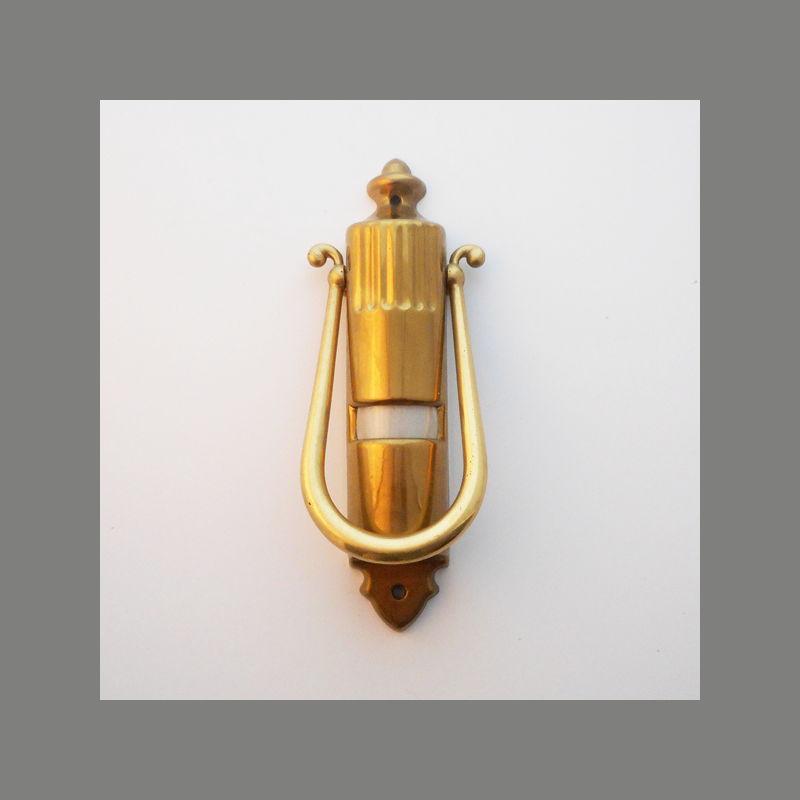 The “Beacon”, a battery powered lighted version of this knocker was also briefly available. A light to illuminate your keyhole and doorknob was operated when the lever was lifted. Notes ElectraChime Collection. New old stock in box.